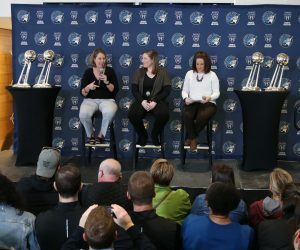 Cecilia Zandalasini and Temi Fagbenle made a name for themselves during the Lynx’s 2018 season. Now they’re doing the same thing overseas. Fagbenle has had a remarkably consistent European season. In Polish league play she’s averaging 14.4 points, 7.8 rebounds, 1.1 steals and 1.4 blocks per game while shooting over 50 percent from the floor with CCC Polkowice. In the EuroBasket qualifiers with Great Britain she has performed even better, averaging 15.3 points and 9.3 rebounds per game. The British center had a phenomenal game on Saturday, dropping 19 points and adding six rebounds, two assists and two blocks as CCC Polkowice picked up a big win in league play. It’s great to see Fagbenle being so dominant. 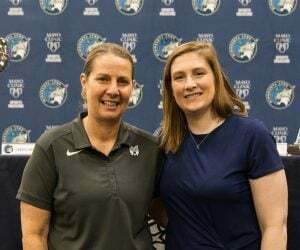 While she undoubtedly has huge upside in the WNBA, she plays behind Sylvia Fowles so she doesn’t get a chance to show that off much in Minnesota. 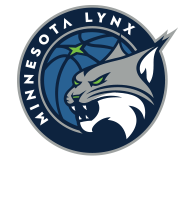 However, the Lynx will be relying on Fagbenle this upcoming season to be the team’s leader off the bench—getting a chance to practice dominating in big minutes will help her grow into that role. 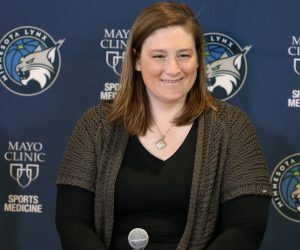 Zandalasini took Lynx fans by storm last season, emerging as an exciting three-point shooter and cementing her position as a starter when Rebekkah Brunson went down with an injury later in the season. Her defensive skills and her ability to guard three positions make her an incredibly useful weapon. However, Zandalasini got off to a rather slow start overseas. 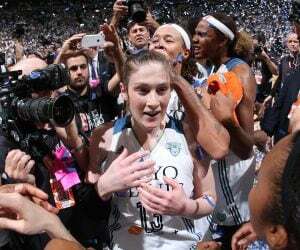 She played well, particularly rebounding the ball and playing defense, but she didn’t have any huge offensive games. Zandalasini plays for Fenerbahce, which is one of the best clubs in Europe. On a team that also includes fellow WNBA players Kelsey Plum, Kia Vaughn, Bria Hartley and Kiah Stokes as well as European star Anastasiya Verameyenka, it makes sense that Zandalasini is more of a cog than a featured player on offense. Still, many people were definitely hoping to see Zandalasini break out. That happened on Sunday. Zandalasini scored 20 points on 64 percent shooting from the floor and added four rebounds and an assist. Interestingly enough, only one of those shots was a three-pointer. While Zandalasini was a three-point specialist with the Lynx, the next step in her development is definitely improving her handle and paint scoring. It’s super encouraging to see her getting her baskets in many different ways. While playing overseas is not an easy thing, it’s also a huge opportunity for younger WNBA players to develop their games in situations where they get more touches. Seeing such good returns on Fagbenle and Zandalasini’s work is a sign of great things to come for the Lynx.